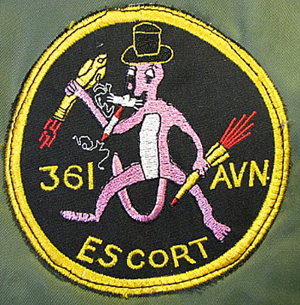 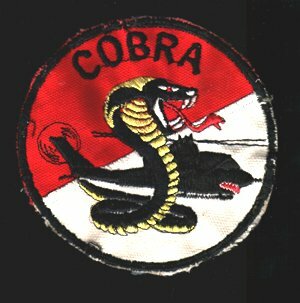 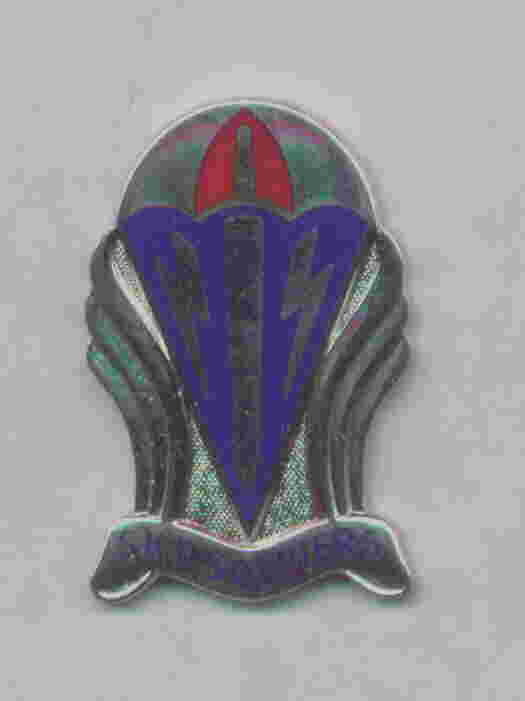 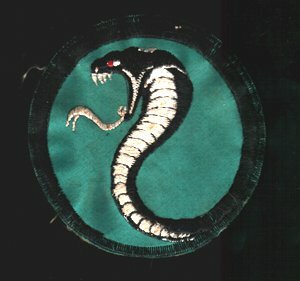 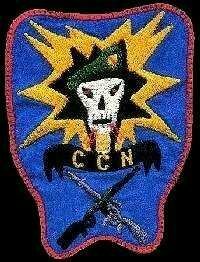 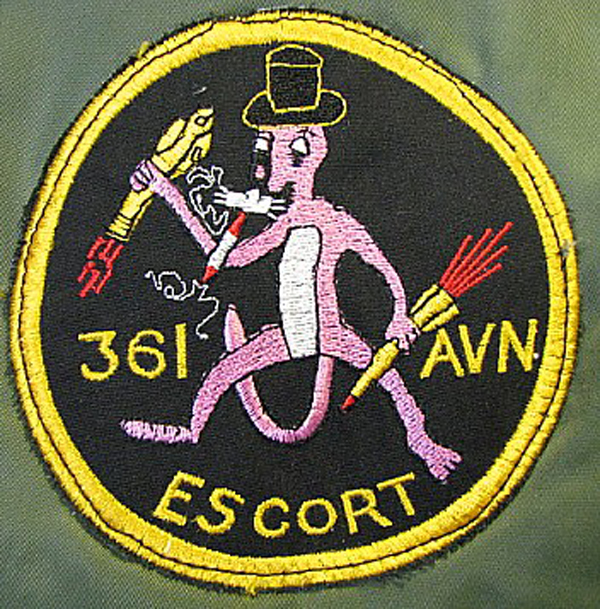 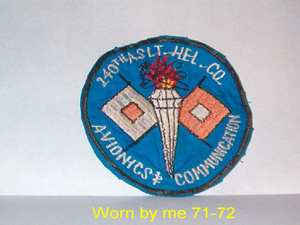 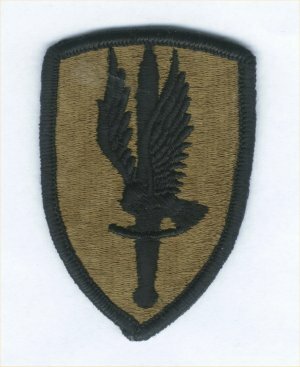 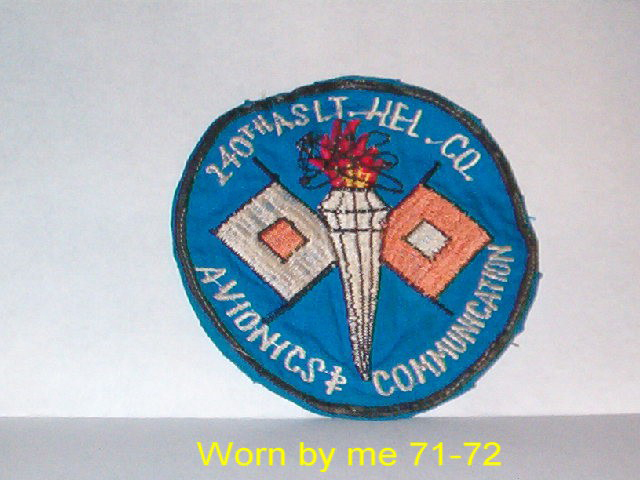 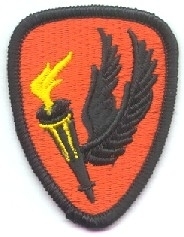 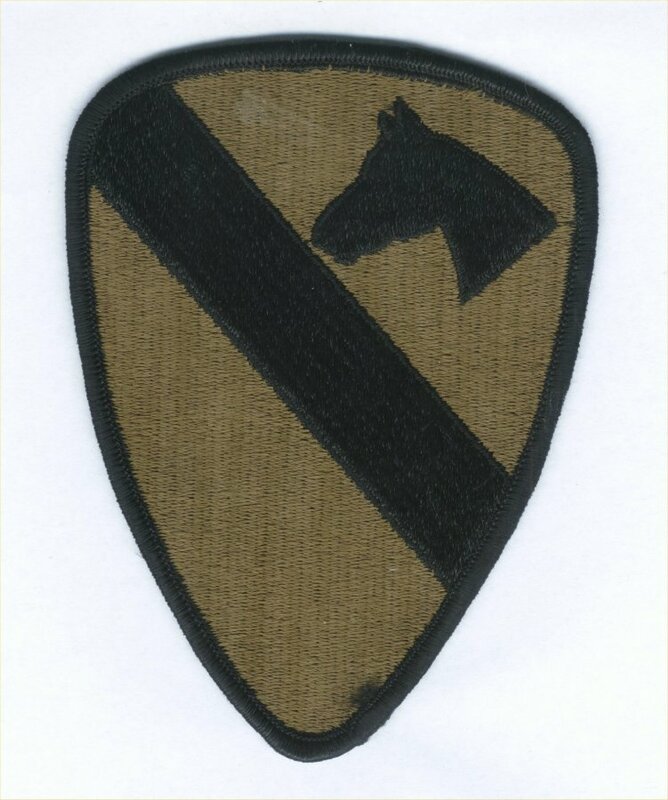 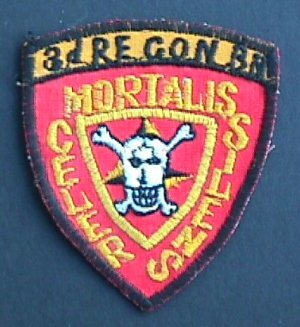 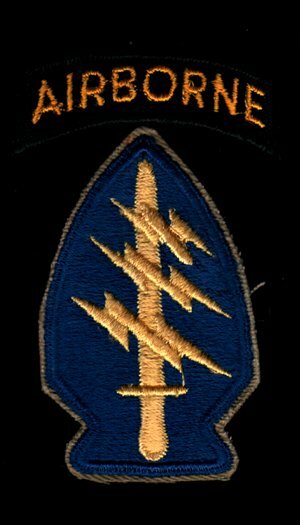 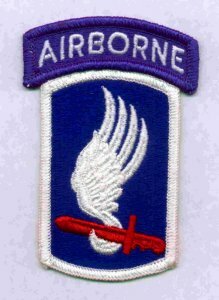 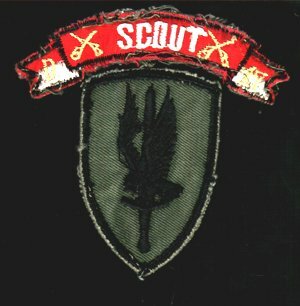 Unofficial patch for USMC 3rd Recon Battalion given to Jim Wallace (Black Widow 25, 188th AHB) by a member of the unit after a joint operation. 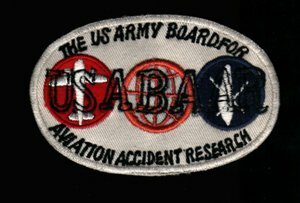 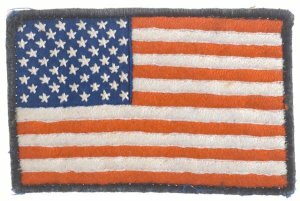 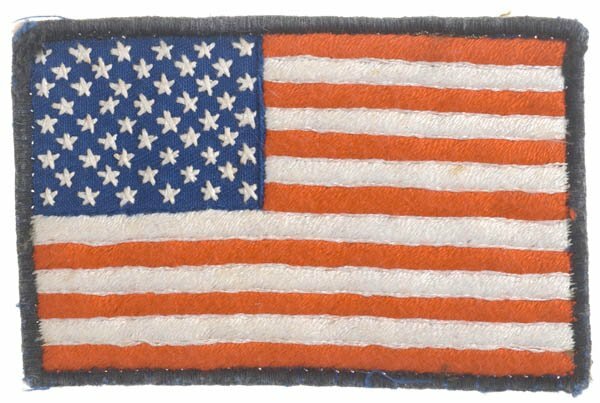 Attractive, hand embroidered 1st Aviation Brigade patch is one of many designs available and readily produced by "moma-san" in country". 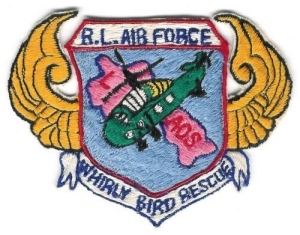 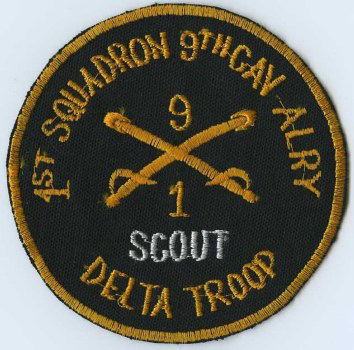 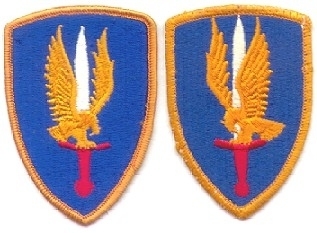 Unusual combination of 1st Aviation brigade patches. 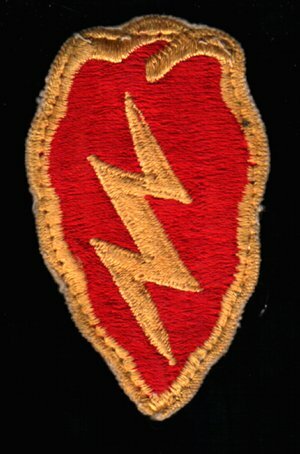 The Rigfh shoulder design was unauthorized but presented a much more dignified profile to denote combat service with the unit. 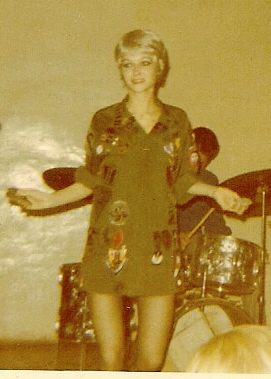 This girl was with a band from Texas on USO tour. She collected those patches from each Unit that they played for while touring the country.